Marty and I have been preparing for emergencies for years. It’s something we think is very important and we try to make it a priority. While everyone (hopefully) knows the basics of food, water, and shelter, there are things that you need for long-term survival that you may not have thought about. What happens if you need to be prepared for the long-term? Being prepared for a hurricane is not the same thing as being prepared for long-term survival. What happens if there is a long-term event you need to prepare for? Have you considered things like social collapse, pandemic, failure of the power grid? What would you do in an emergency like that? Would you be prepared and do you even know where to start preparing for something like that? 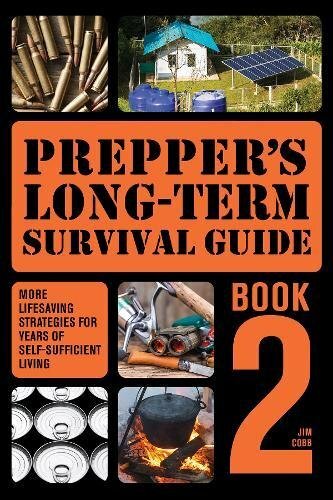 Prepper’s Long-Term Survival Guide shows you what you need to do now to prepare for long-term survival (beyond the first 72 hours). 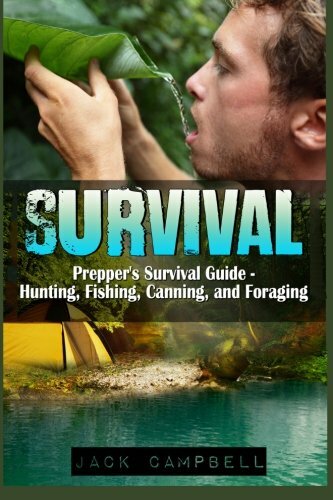 Prepper’s Long-Term Survival Guide is written for the average person. You don’t know to have some huge amount of preparedness training and be able to identify every local plant and tree in your state to prepare for emergencies. These basic strategies will get you started on preparing for basic needs like food, hygiene, shelter, warmth, and security. What makes this book unique to me, as someone who has dozens of prepping books, is that it tells you how to survive in the event that help isn’t coming soon. What if the disaster isn’t temporary? Did you know that bleach has a shelf life? Do you know why you shouldn’t store long grain or wild rice? You’ll learn why spouting seeds is such a good idea. Have you thought about learning to cook in a solar oven? 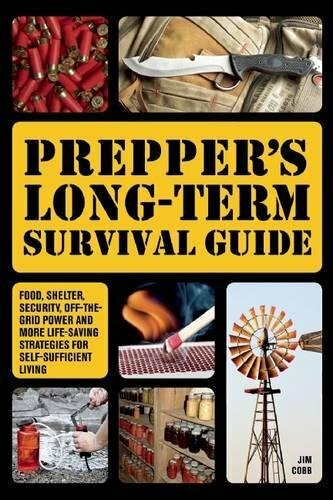 If any of these topics has you thinking and wanting to learn more, I definitely recommend that you pick up a copy of Prepper’s Long-Term Survival Guide. Whether you are just starting out or are an experienced prepper, you’ll learn tons of new information. Buy it now. This is something I've have thought about, but it always slips to the bottom of my list. I just can't organized a plan. This survival guide does that for me. It's the answer I've been waiting for. Thank you. It really is a great book to show you where you need to start working harder! I bet this is full of useful information, I'd read it just to learn more about things - like bleach? i had no idea!! I know! I didn't know that either! The fact of the matter is you DON'T know when something like the grid going down is going to happen and it's important if something like that does indeed happen to know your next steps and have a plan ready for the safety of yourself and the safety of family and friends! This sounds like it has some really great and useful information for those interested in prepping or just survival in general. That's it exactly. That's why it is so important to start preparing now. You never know when it might happen! I don't really think about a long term need for this, although undoubtedly there is one. Where I would now find it useful is in shorter term needs, ie the hurricane season. Hurricane Sandy devastated our area and left us without power for two weeks. Perhaps we could have been more prepared. It would definitely come in handy for a several week time period as well. You never know how long you'll need to be prepared for. We've actually been doing more thinking about being prepared. This looks like a resource I want to read! It's a great way to get started, Sharon! This sounds like a great book, I would so read it. I didn't know bleach had a shelf life! I was really surprised to learn that too. There's a lot of great information here. I never worried about emergencies until I had kids. Now I feel like it is my obligation as a parent to be prepared for everything. Thanks for the book advice. May have to check it out. Kids can change our whole outlook! Wow, this sounds like an awesome book to have! We're going to be moving soon and I am definitely going to have to get this book! Thanks for sharing it! Great time to start your prepping, Dawn! This sounds like a great book. I had no idea bleach had a shelf life. We live in a natural area and I know we need to prepare for natural emergencies since we are a bit of a ways to town. Always a good idea when you are out in the country! I did know about the shelf life of bleach but only because I am a science geek that used to work in a medical lab. Important things to keep in mind if you are prepping! Thanks for the info! Glad to share! There's so much to stay on top of! That's exactly it, Meagan. There is so much to prepare for that you really need to at least deal with the basics.